With Mother India gearing up to celebrate the 70th Independence Day, two teen students – one from Hyderabad and the other from Bangalore – made her proud by making it among the 2016 Google Science Fair finalists. 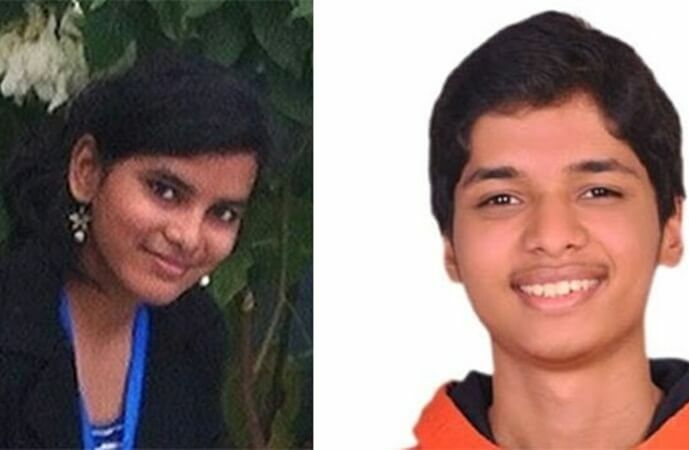 16-year-old Shriyank from Bangalore and 15-year-old Mansha Fatima from Hyderabad are among the 16 finalists out of thousands of young minds from across the world. In July 2016, 14-year-old Advay Ramesh from Chennai catapulted India to international headlines when his innovative GPS system for fishermen won the Google Community Impact Award in the entire Asia. Now these two wonder teens – Mansha and Shriyank – from the cyber hubs of India will travel to Google Headquarters at Mountain View in California and compete for a grand scholarship worth $50,000. Google will announce the winner of the competition on September 27 this year. Mansha Fatima, a 15-year-old resident of Hyderabad, has developed an automated water management monitoring system for farmers who immensely contribute to the domestic GDP of India. Farming is a major source of living in rural India where farmers do still follow age-old practices to grow crops. Using Mansha Fatima’s automated system to monitor water levels in rice paddy fields, farmers can prevent overuse of water whenever needed. At the same time, the optimum water level can be maintained for growth of a crop at different phases. The Bangalore boy has developed a wearable technology to help those having ailing memory with deep learning algorithms. Named KeepTab, it is a wearable device equipped with a cloud-based deep-learning framework to help users recall the things which are out of their sight and the whereabouts of day-to-day objects. Shriyank’s KeepTab seems to be a feasible solution to memory-related ailments like dementia and Alzheimer’s disease. These projects by two talented Indians are the works of innovation among the brightest solutions to make lives better and safer through science as well as technology. Google Science Fair is a world-class competition to explore the potential of science and engineering.